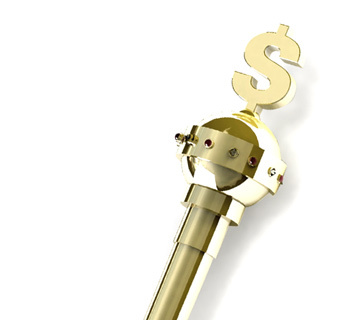 What does the term "away from the table" mean in the world of "online poker"? 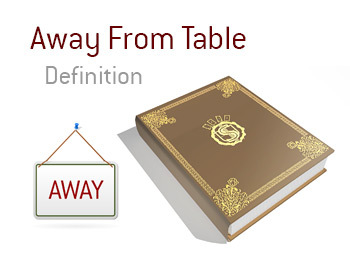 What is the definition of the term "away from the table"? In online poker tournaments or SNGs, a player is deemed to be "away from the table" when he is not available to play his hands. This differs from "sitting out" in a cash game in that players who are "away from the table" in tournaments and SNGs will still be dealt into hands and their blinds will still be taken away from them. In a cash game, however, if you decide to stand up and go for a walk, you will not be dealt into hands once you have timed out and folded once. In a tournament or SNG, you will continuously be dealt in and your hands will be automatically checked or folded if faced with a bet. For instance - let's say that you are playing in an online tournament. There are just 10 players left and you are the chip leader. Suddenly, disaster strikes as your Internet connection goes out. After you have timed out of one hand, you will be shown as "away from the table". Your blinds and antes will continue to be collected from you and you will continue to be dealt into hands. Unless you are able to restore your Internet connection or find another computer, you will eventually be blinded off.